A mountain so great it takes a year to travel from base to summit. A sun so powerful it drives you into madness if you look at it. An ascent so vital it determines the fate of the world. A summit so precious it holds the key to the divine. When I first heard about this book, I was unsure what it would entail, or whether it would be something I would enjoy or not. Zenith is the story of a journey of a young man trying to reach the Summit in order to complete his training. Again with this description I didnt know whether it would be my cup of tea or not. But I always give books a go, so I began Zenith. Starting I was slightly confused by the concept on Zenith itself and why no one could look at it, but the fact that the main character and his twin could reveal the answer intrigued me. So they set off on their journey's to find the answer, and this is were the singular narrative came in. With this book we, the readers are following Atreu's Ascent and seeing all the obstacles that he faces. I enjoyed the narrative of this book, it felt like one of those old myths we were told as children, this also applied to the tone, as it felt like the story of a brave knight (Arteu) on a journey (Ascent) who faces evil along the way (Faemir) I love the feel of this book, the adventure, the characters within the story and the ending. Though I did wish I could have read about his twin's Teyth Ascent as well as Artue's. All in all I enjoyed Zenith and would recommned it to anyone who loves books filled with adventure. Its no surprise to anyone now, that it is Autumn, which means leaves falling, colder and darker nights, and going back to school or university, which for me means one thing ; new clothes! Autumn is such a great season for fashion because you can wear almost anything as it is still warm but with a slight chilly breeze so you can wear everything from dresses with tights to jumpers and jeans, and I love it. Because I adore going shopping and finding new clothes in this season I thought I would show you three of my favorite looks for Autumn. Hope you enjoy! When a psychopathic violinist starts kidnapping other violinists around the world, 16-year old Emma must hunt her down before her own beloved violin teacher is killed! When I first came across this book, my mind was completely blank as to what it was about, as I had no clue what a Luthier was, never mind what an apprentice to one did, so I I was hasty to start reading it, and how glad I am that I did. The Luthier's Apprentice is a YA fantasy/ mystery novel, which I absolutely love so I couldn't wait to read it. This ya novel follows a determined, headstrong violinist called Emma ( already love her from the fact that she plays violin) as she tries to investigate her teacher's disappearance with her deductive skills she has gained from The Sherlock Holmes ( again Sherlock Holmes, solving crimes, music, what's not to love with this book) with the equally Sherlock obsessed Corey, until they come across a centuries ago mystery, male violinists have been going missing and Emma's teacher is the newest victim. Personally I enjoyed it, the mystery, fantasy, the references the Sherlock Holmes and a lot more factors made this book very enjoyable to read. It is very quick paced, never a dull moment and surprising plot twists when you don't expect them. I recommend this book to anyone from ages 13 + and any fans of fantasy and mystery. I have been nominated for the Liebster Award by the absolutley lovely Giselle, so thank you so much Giselle for nominating me! 2. Answer the 11 questions she/he asks of you. 4. 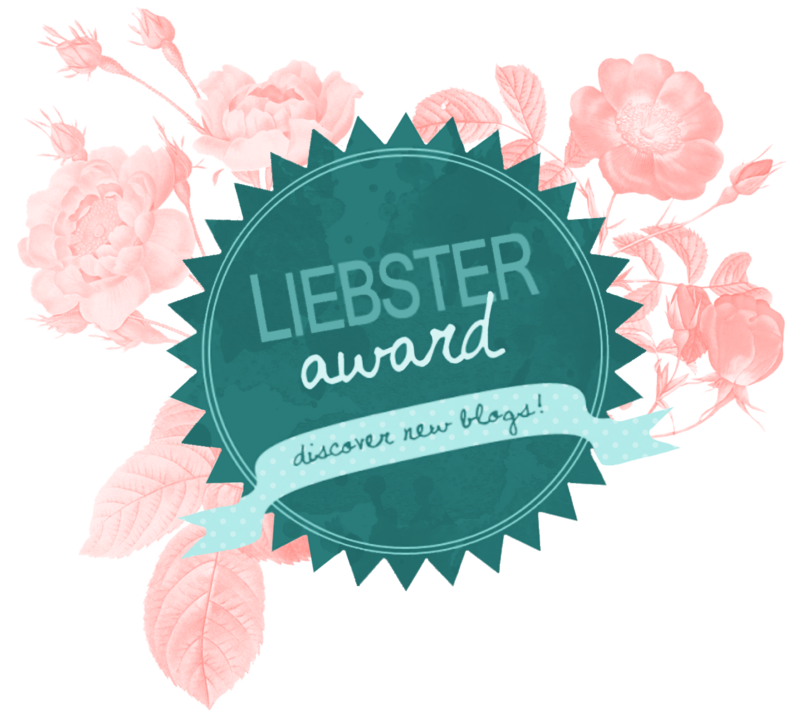 Nominate 11 bloggers with less than 200 followers. 5. Ask these 11 bloggers 11 questions of your own. You can't nominate those who nominated you. What made you start blogging? Did anyone inspire you? If so who and how? I started blogging because I wanted to document my life in a sort of diary-like way, but then I discovered book blogging and thats what I do now I talk and discuss books becuase I love them and I dont know where I would be without them, the person who actually inspired me was Lucy from Queen of Contemporary and becuase of her and her amazing blog I decided to turn my normal blog into a book blog so I cannot be more grateful to her. Thank you sooo much Lucy! 2. What is your dream cast for your favorite book? 3.Top played song on your iPod? I actually havent actually listened to my Ipod in a while because I just listen to my Itunes, so my top played song on that is All of the Stars by Ed Sheeran from the TFIOS soundtrack, I absolutley love that song as (obviously) it's from the TFIOS film and Ed Sheeran sings it and he is one of my favourite singers ever. 4. Which book characters would you be friends with and why? I would like to think I would be friends with Sydney Sage, because we are quite similar in personalities, so we would get along easily. Also Hermione Granger simply becuase she is Hermione Granger and she is awesome and I would love to have her as a friend. Celeana Sardothien becuase she is amazingly loyal will stand up for what she beleieves in, and thats something I love in my friends. And also I would love to be friends with Eddie Castile becuase he is so sweet and so nice and you can have a joke with him and I love him he is one of my favorite male characters. 5.What book can you re-read and re-read and always love? Why? Harry Potter!!! Easiest question ever, I can re-read the Harry Potter series over and over again and love without ever getting bored of it. It is ultimately my childhood, and if you ask anyone who knows me they will tell you I am obsessed with Harry Potter. I don't know whether this is strange or not, but if I listen to music when I'm reading I can only listen to the Pride and Prejudice (2005) soundtrack because the classical feel of the soundtrack always makes me feel in a read-y mood, I don't know why it's only that but I cant read if I listen to anything else. 7.If you could live in any time period, what would it be and why? 8.Name a quote that describes you best. 9.What book made you cry the most and why? The one book that does make me cry the most is The Fault in our Stars, I tend to cry at different points in the book but I always without fail cry at Augustus' letter at the end, because it's just so beautifully sad I cant help but cry. Who is your book OTP? If you could only read one book/series for the rest of your life what would it be? Have you ever read a book in another language? What book made you love reading? What literary character would you love to cosplay as? What book do you wish you could change the ending to? Thank you so much to Giselle for nominating me !!! !